Just love these Sloggers. Cannot believe how comfortable they are. Had my doubts, but not any more. Great with or without socks too. 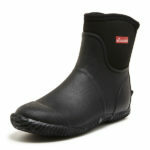 My sloggers are very comfortable & extremely useful when my backyard is wet after the rain. Service is good , will look at other products when get more time to do so . My wife loves her sloogers so much she wants to wear them to town. 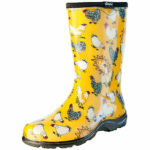 The most comfortable of footwear for a multitude of uses – I personally use theses hosing out my kennels and in the morning dampness at dog shows to protects my good show shoes. Bought a pair for my daughter, liked them so much, bought another pair for myself which have been great. 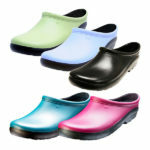 My sloggers are so comfortable and easy to use, and I love the colour.